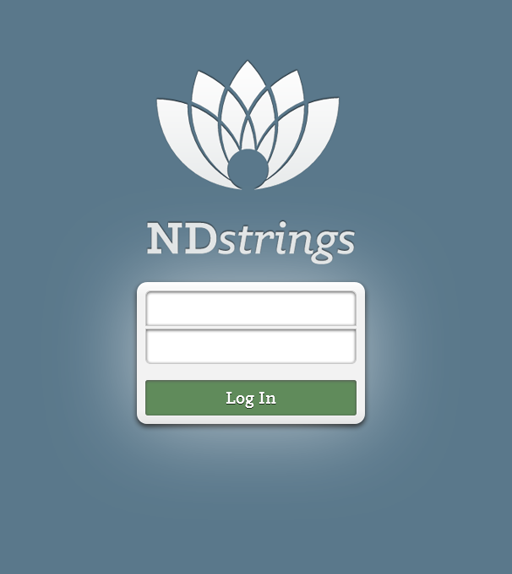 This is a project I've been working on for Naturopathic Doctors and students of naturopathic medicine. Because naturopathic medicine makes use of so many treatment modalities (botanicals, acupuncture, supplements and so on), it can be difficult to find all the useful treatments in one place. This site provides a place to store these 'clinical pearls.' It is a work in progress. 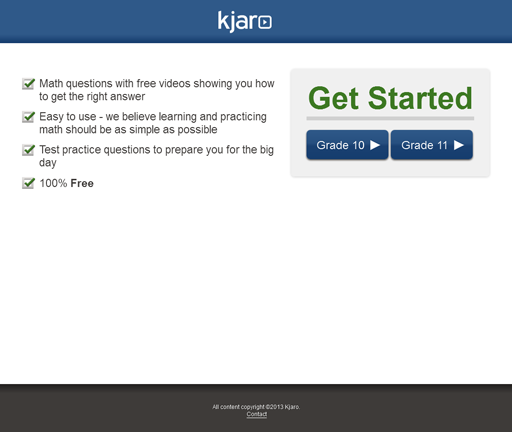 Kjaro is a free site that offers math questions with videos showing students how to get the right answer. The goal was to make something that was easy to use and which simplified the process of learning math. The site remains a work in progress. 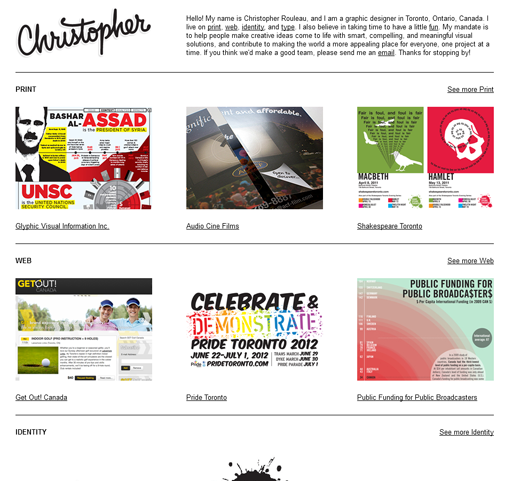 This is the professional portfolio of Toronto designer, Christopher Rouleau. His aim for the site was to showcase multiple images of his varied work. The design solution we came up with allows both browsing through projects within a category and browsing multiple images within a project. 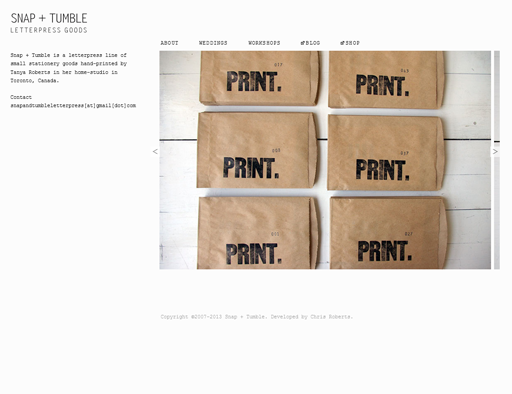 Snap + Tumble is a letterpress line of small stationery goods hand-printed by my wife, Tanya Roberts in her home-studio, here in Toronto, Canada. The main feature of this site is the image carousel, for which the goal was a simple, intuitive design. 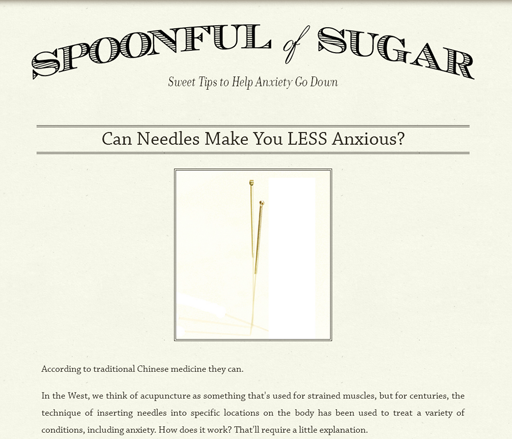 Spoonful of Sugar is my professional blog. My private practice as a naturopathic doctor focuses on anxiety and related conditions. 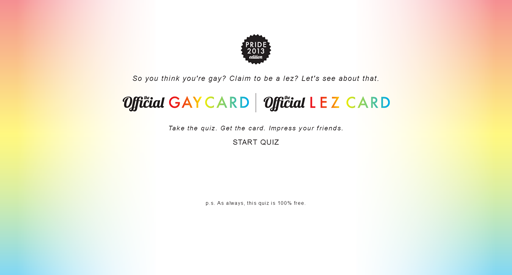 This site represents some of the most fun I've had with responsive design. During the summers of 2008 and 2009, I worked for Chapters-Indigo as a front-end developer. The first project was their community site, which was meant to increase the engagement of Chapters, Indigo and Coles customers by involving them in an online community. This site is no longer maintained. The second project, called Shortcovers, was an effort to create a place online to read short works or sections of works. The Shortcovers site is now replaced by that of kobo. The Working Familites Coalition, approaching the 2007 provincial election, commissioned a social networking website from Filemobile. I was client-facing for a portion of this project, and was the front-end lead. Because the site was for that election only, it is now down. CBC launched a social networking site for hockey fans created by near the end of the 2006-2007 hockey season, I contributed the majority of the html and css to this site, but it has since changed significantly and no longer reflects any of the front-end development work I did. MTV's Show Me Yours, another social networking and media sharing site to which I contributed html and css for Filemobile is also no longer accessible. On this site, fans could enter contests or simply upload concert-related media.